Now that my parents are here for a few months, the kitchen has been in full gear with constant cooking of large amounts of food to freeze. Yesterday, Mom made homemade ‘brodo’ while I was at work, otherwise known as chicken broth. This will be used for ‘tortellini in brodo’ that we traditionally prepare for Thanksgiving, Christmas, and Easter. And today, while I was home grading my students’ exams and papers, my mother made two gigantic pots of our family’s Bolognese sauce. 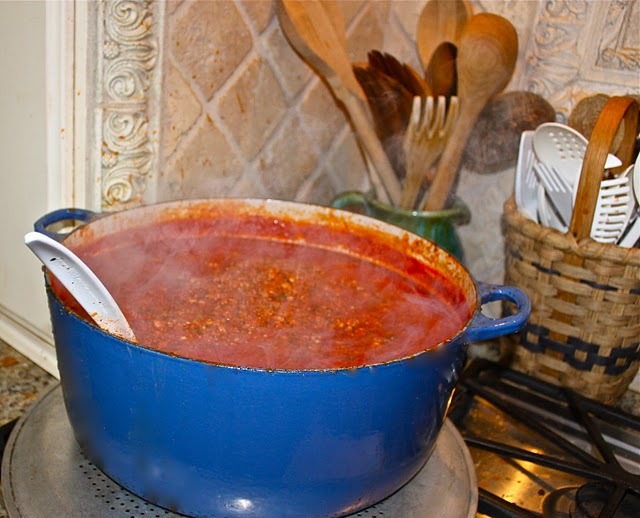 Some Italian-Americans call this ‘ragu’, while others say “Sunday gravy”, but we have always simply called it spaghetti sauce! Well, no matter what one chooses to call this classic recipe, my entire family could not live without it’s incredible taste! This truly is my husband’s favorite thing to put in his mouth and devour! 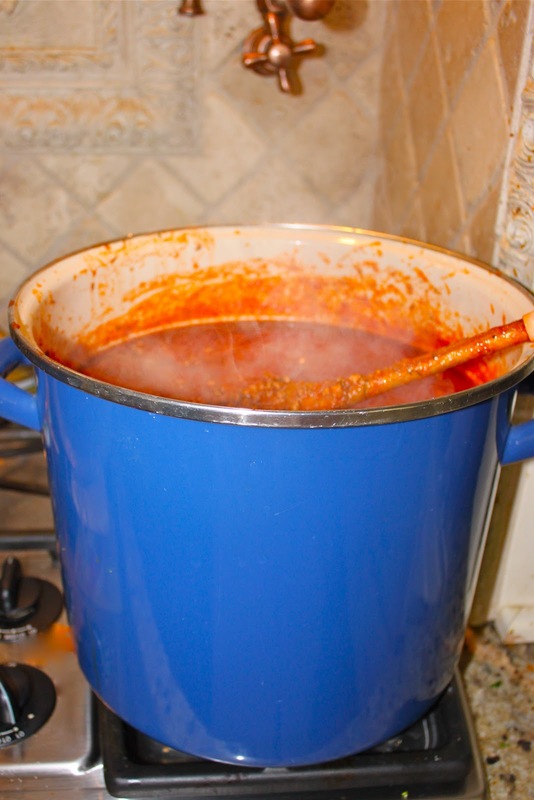 One tall pot cooks on the stove for a few hours, while a shorter, but super wide pot of sauce stews on the other side. The perforated pizza pan under the pot is placed there to prevent the sauce from burning on the bottom of the pot . . . even if the stove is set on low temperatures, you don’t ever want this to burn, or the whole batch will be ruined. Mmmm . . . the whole house is filled with the smell of Italian mama love! I’d mentioned a few weeks ago about this time of year (nearing the end of Fall Semester) and needing to pay more time and attention to my responsibilities at the office, rather than blogging. 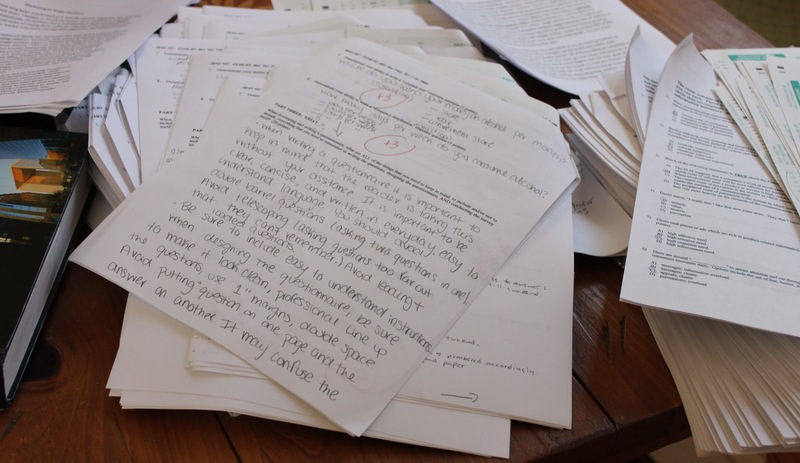 So here’s just one of the stacks of papers and exams that I was reading and grading while Mom worked hard, but happily, in the kitchen. She loves to cook and do all of this for her kids, and we are so fortunate and grateful! After the sauce is fully cooked, we filled containers for freezing the sauce (let them cool down before placing in the freezer). 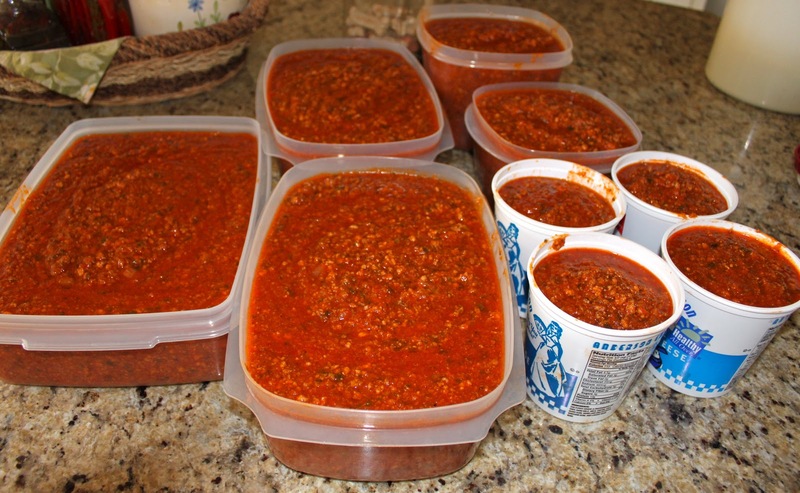 We like to fill several different sizes of containers so that we can have sauce on hand for larger groups, such as when all of our kids come home with their own families, as well as for smaller dinners when it’s just hubby and myself. Making this sauce is truly a labor of love! Grazie Mama, tiamo! The recipe is listed on the sidebar and can also be found by clicking on the photo link for Bolognese Sauce on the sidebar as well. For this batch of sauce we also added fresh ground pork (and sometimes we’ll add fresh ground veal). We also added four super large bags of frozen tomatoes from my summer garden . . . these add a fresh, zingy flavor of summer to the pot and make a tremendous difference in flavor. 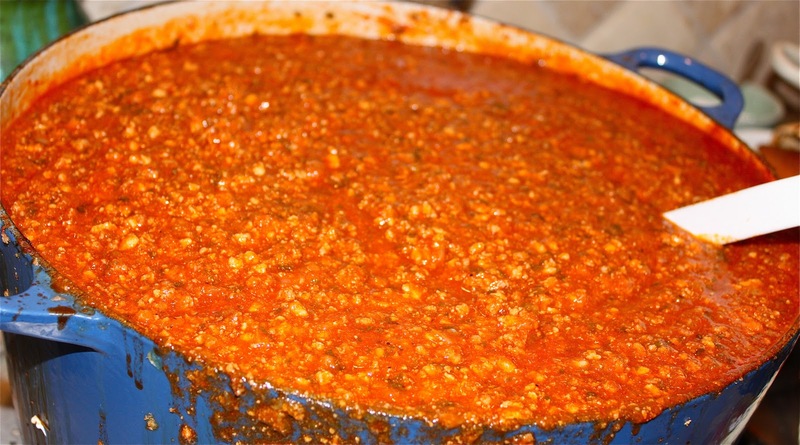 So when you find an afternoon when you have a large window of time, fill your kitchen with the wonderful aroma of this traditional Italian sauce, and maybe get a little work done on the side like I did, when the pots are slowly simmering on the stove. With this amount, you’ll always have on hand some fresh, homemade sauce ready to heat up and ladle over some cooked pasta at the last minute! you gotta love a mama cookin’ in your kitchen! this looks splendid!! Hi Roz, There is nothing better than mom in the kitchen and that wonderful Italian aroma! Ciao! Such a yummy post!!! That’s great that you mom cooks for you & it’s very sweet. Lucky you to have all that gorgeous sauce and homemade chicken stock in your freezer!! I can imagine the aroma in your kitchen!. I wish I was your neighbor!. Have u posted your mother’s recipe before? Think your mom might like to cross the mountains and visit East Tennessee for a week or so. You are so lucky Bella. I can imagine how delicious your mom’s sauce is. I can only imagine how wonderful that sauce must smell Roz. Glad you are enjoying your parents visit. My parents never cooked when they came to visit me, but my father would always polish the sterling silver while he was there. How I miss him when I have to do the job now. looks wonderful, i love a happy well used kitchen! You have an absolutely beautiful blog! I love all of the pictures and recipes:) Here on the Over 40 Blog hop and I’m so glad I found you:) Hope you’ll stop by and read my post and comment! Oh my gosh, that is a pot of deliciousness. I want some Italian mama love! What a heavenly sight!!! I don’t think I’ve ever tackled something like this before, but I’m inspired to make some home-made sauce of my own now, after seeing this!!! LOVE LOVE LOVE it! Yummmm! Oh I miss my mom! I miss my mom’s cooking too! Aww.. you are so lucky!There is nothing better than mom in the kitchen ! I wish you would share this recipe and also your lasagna that you make for your family!!! 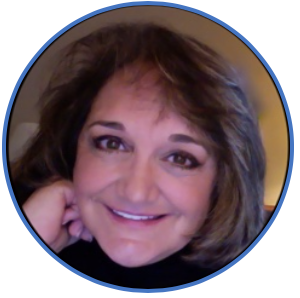 I sooo enjoy reading your blog!